Zhen Xing Stair Tread is made of Steel Grating & wildly used for different types of Steel Ladders, featuring easy installation, strong structure & aesthetic appearance & good water permeability. 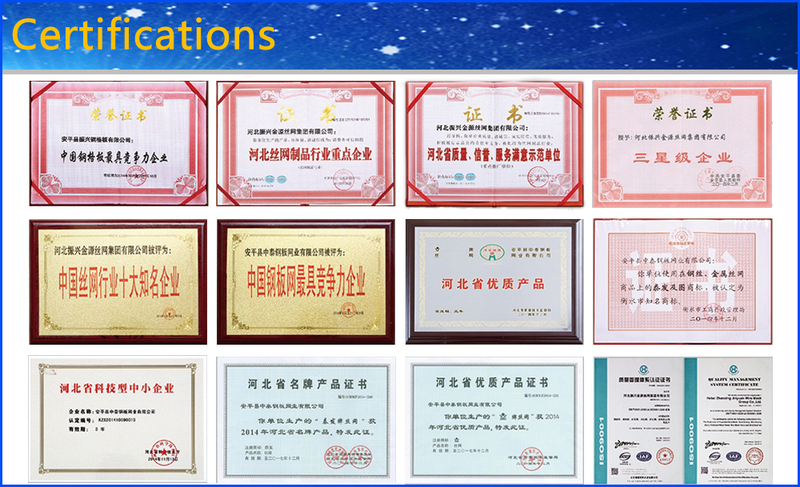 We can fabricate according the customer's requirements. Stair Tread is available in grating, plate, perforated plate and expanded metal. It`s installed in the road or flooring, where the chance of skidding are there. This Stair Tread is available with or without angle frame. It easily retrofitted over existing grating or unsafe diamond checker plate assemblies. Meantime Stair Tread can be welded directly to current treads or stringers or can be bolted in place. Holes can be provided per drilled for easy installation or can be drilled and countersunk in the field, without harming the surface. Therefore grating Stair Treads are ideal in wet and oily situations such as oil rigs, food processing plants and marine applications. Steel grating is made by the world first-class Italian ORSOGRIL equipment, which can arrange the bearing bar and cross bar in longitude and latitude order to certain distance. Cross bar is pressed into the bearing bar by high tension resistance welding which is controlled by computer. So we can produce high quality gratings with firm welding, smooth surface and high strength. T8: Stair Tread with Perforated Plate Nosing, Bolted fixing. Looking for ideal Welded Fixing Stair Tread Manufacturer & supplier ? We have a wide selection at great prices to help you get creative. All the Bolted Fixing Stair Tread are quality guaranteed. We are China Origin Factory of Steel Grating Stair Tread. If you have any question, please feel free to contact us.